Thanks to our extensive knowledge and experience in the field, our comprehensive list of professional office removal services will be excellent for clients who are looking for a contractor who can provide them with peace of mind during their business relocation. We have carried out a large number of office removals in Cranham and we know how to do a job right. Prior to the begging of the work, we take care to familiarize the client with all aspects of our methods and we discuss his project at length with him, making sure that we cover all his requirements. Getting acquainted with all the details of the task we have been hired for helps us tailor an individual plan for the office removal we are about to carry out, which inevitably leads to better results, optimization of the process and lower end prices for our client. 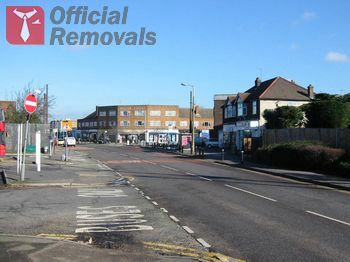 When it comes to Cranham office removals we are definitely the best in the business. In addition to our serious attitude towards all jobs we take, no matter how big or how small they are, we have all the necessary equipment, tools and vehicles that are needed in order to follow the highest quality standards of the industry. All our employees are responsible and highly experienced individuals, who know how to make use of the full capacity of the gear they are handling. We maintain a fleet of up to date transportation vehicles. We have a truck or a van that is suited for any task, no matter what its size is. They all have the necessary safety gear, like straps, belts blankets etc. that ensure the safe transportation of any kind of office items – furniture, boxes with archives, sensitive equipment, pieces of decoration. The security of those items is further increased by our excellent packing and unpacking services and the personal care that each member of our staff demonstrates to all our client’s objects. For booking and free no obligation quotes we can be contacted on the phone numbers provided or online via our e-mail address or the online contact form on this website. While our packers are preparing your smaller items, our carriers will carefully dismantled your office furniture and pack the pieces into boxes which will be meticulously labelled. Large furnishings will be shielding via protective blankets in order to keep safe their surfaces. Once your business removal is over, our workers will happily lend you a hand with the furniture assembly. Keep in mind that we also provide furnishing deliveries as a standalone option, so don’t be hesitant to contact us if you have bought new furniture for your office and need help with their hauling. The All Saints parish is perhaps the most noted landmark of Cranham. It was rebuilt during the early 1870s and is known for being the resting place of James Oglethorpe, the first governor of the American state of Georgia. The grounds that encompass the church are recognised as a conservation area while the church itself is listed as a Grade II buildings.